Alter The Press! : Simple Plan Cover Blink-182's "All The Small Things"
Simple Plan Cover Blink-182's "All The Small Things"
What di you do when you break 182(000) followers on Snapchat? Perform a cover of Blink-182, of course! And Simple Plan did just that. In celebration of breaking 182,000 followers on Snapchat, the band did a cover of Blink-182's "All The Small Things". 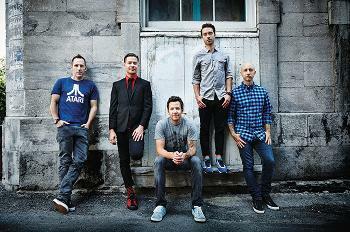 Simple Plan are currently touring across the country on their No Pads, No Helmets...Just Balls 15th anniversary tour. Remaining dates can be found below.